where the flow is not controlled. evaluation of the environmental impacts of composting. 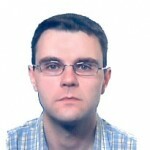 Antoni Sánchez Ferrer (male, PhD) is Full Professor in the Department of Chemical Engineering at the Universitat Autònoma of Barcelona. His main research activities have been focused on biological waste treatment, especially on composting processes. Last Edit: 30 Sep 2015 11:53 by muench.